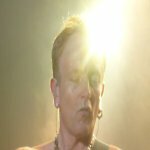 Def Leppard guitarist Phil Collen has been interviewed by Screamer Magazine and talked about the second Las Vegas residency and 2014 tour plans. Phil suggests the band will play the Pyromania album when they return to Las Vegas (as already hinted at by Joe/Vivian) and reveals some possible tour plans for 2014. These include US tour dates and visits to Japan and Australia (cockney slang for England?...). Phil talked about his recent surgery and how the injury prevented a Def Leppard/Slash performance of Tie Your Mother Down, Vivian's recovery, he reveals the failed live show taping in 2012 was for Austin (Cedar Park), TX, the Hysteria album, the Las Vegas residency and album/film, the Manraze single/third studio album, possible Manraze shows with someone standing in for Phil, the Delta Deep project with Debbie Blackwell-Cook, the Pyromania tour and goes on to talk about playing that album for a second residency plus upcoming 2014 tour plans. The interview was conducted by long time Leppard fan Erika Thomas. "We're supposed to be recording, or certainly getting together to write some songs in January. Again, you know I'm still not sure I'll even be able to play by then, but at least I will go to write some songs." "Hopefully yes, we will return depending on how Vivian and I both heal. We still haven't confirmed any dates for the new residency. Many people have been talking about it and all these speculations. We will obviously do Pyromania as we have two diamond albums. After Hysteria, it will definitely be the other one." "We would have to have the offers come in, but yea we would love to. We're due to go back to Japan and Australia, I think that's about right. We’ve just done some of Europe, so there's a lot more to do and of course more of the states."